Supplier Haven Power and demand side flexibility provider GridBeyond have announced a new partnership aimed at helping business customers trade the power they produce and participate in demand side response. Haven Power supplies renewable energy as standard to its customer base. GridBeyond’s platform powered by machine learning, supports the integration of intermittent energies, such as wind and solar, onto the grid by encouraging and enabling participation of large energy consumers in Demand Side Response (DSR) programmes. The two companies say the partnership will give business customers better access to energy technology and markets. 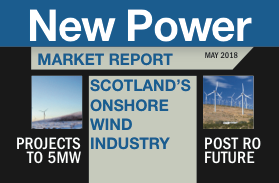 Haven Power’s trading teams will work with GridBeyond to ensure that DSR revenues are maximised for their customers. This will include accessing wholesale markets in combination with DSR programmes. Michael Phelan, chief executive and co-founder at GridBeyond, said: “2019 will bring significant developments and growth to our business, and we are delighted to kick it off with this exciting and valuable partnership. ..